The Aqualab perched over Pwll Yr Ardd. Perched upon stilts above the edge of Pwll yr Ardd is a wooden building. Packed full of microscopes and study aids, this is the Aqualab. Day and evening courses bring in adults to make, identify and find out things. Teachers come here to learn how to teach outdoors. Families have fun making wonderful creations from plants during the school holidays. The Garden’s Education team runs the Aqualab. If you want to find out more about the courses, activities and programmes we offer, have a look at our Learning pages. Designed by students of the Cardiff School of Architecture, it is heated by a water heat source pump. that uses the ambient heat of sub-surface water in Pwll yr Ardd. 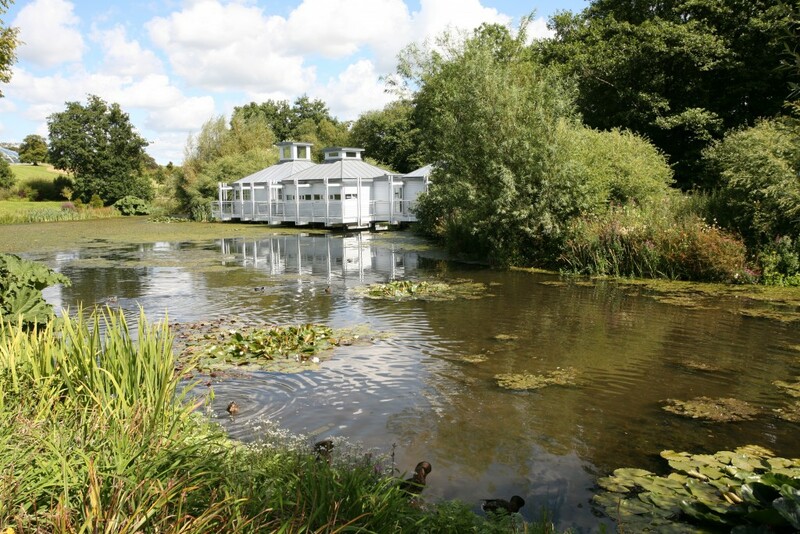 We have three ponds where children can use our nets and microscopes to look for aquatic life.